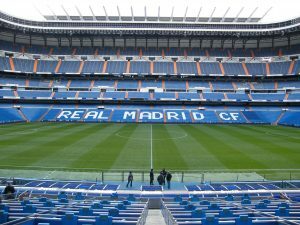 Real Madrid manager Santiago Solari has admitted that no player at the Santiago Bernabeu is guaranteed their starting position at the club. The Spaniard has been in charge of the European champions since the end of October and has overseen an upturn in form at the club having won six out of his seven games. Despite that, the 42-year-old has suggested that reputation, however high, is simply not enough to justify a place in the team and performance is the determining factor. As quoted by Marca, Solari said: “We have 24 first-team squad players while there are kids from the Castilla too. “We need to show what is being done on training on the pitch, with the same intensity, drive, motivation and belief on the pitch. “I do not take the approach of having any sure-fire stars and that is the same idea I had as a player too, because no position was never guaranteed. Los Blancos are back in La Liga action on Sunday afternoon as they take on Huesca. Real are at 3/10 to earn three points with BetVictor, whilst Huesca can be backed at 17/2 to win.